This site exists to help you obtain an apostille for Family Division of the High Court of Justice document as quickly and as easily as possible. Apostille Certificate for a Family Division of the High Court of Justice document. We can legalise a Family Division of the High Court of Justice document. 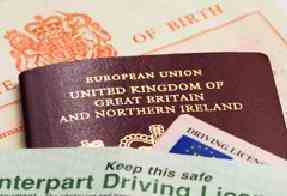 It is necessary for a Family Division of the High Court of Justice document to be legalised by apostille for personal, work or for legal requirements. The apostille certificate is normally requested by foreign authorities and organisations so that the Family Division of the High Court of Justice document can be used for official purposes outside of the UK. It is also referred to as legalisation. Why is an Apostille required for a Family Division of the High Court of Justice document? Please find enclosed my Family Division of the High Court of Justice document for apostille and my cheque/postal order payment.